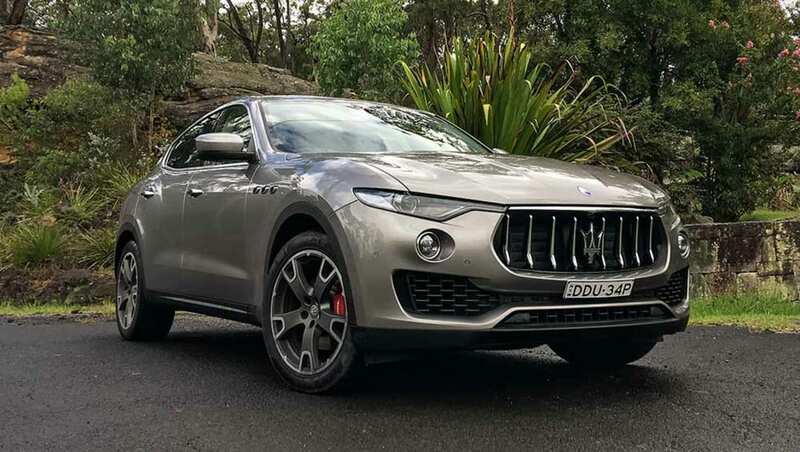 Tim Robson road and track tests the new Maserati Levante SUV, with specs, fuel consumption and verdict at its Australian launch north of Sydney. It's been a long time coming, but Italian luxury car maker Maserati has finally landed its first high-riding wagon ever, the Levante SUV. The phenomenon of premium grade utility vehicles isn't at all new; after all, Range Rover pioneered the genre in the 1970s. 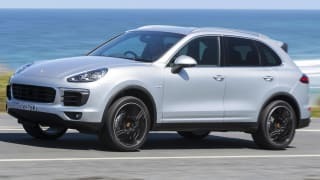 It's bit more odd, though, when a self-professed purveyor of sports and grand touring machines does it, as Porsche found out when it launched the company-saving Cayenne in the early 2000s. And Maserati could have been right there alongside Porsche, debuting the Kubang concept all the way back in 2003, and following it up again in 2011. Instead, the company tore up the 2011 plans to base its premium SUV on a Jeep platform and started again. 2017 Maserati Levante. Image credit: Tim Robson. The Levante will start at an interesting $139,900 before on road costs. It's not the cheapest Maser on offer – that honour goes to the base model Ghibli diesel at $138,990 – but it's definitely positioned as an entry point into a brand whose most expensive car tops out at almost $346,000. It's offered in three grades; the base Levante, the Sport and the Luxury, with the latter pair offered at $159,000. Just one powertrain is offered, comprising of a 3.0-litre V6 turbodiesel engine with 202kW and 600Nm that's coupled to an all-wheel-drive system and an eight-speed automatic gearbox. The options list is as long as both your arms. Standard kit includes leather upholstery, heated and vented front seats, an 8.4-inch multimedia screen with satellite navigation and eight speakers, radar cruise control, hill descent control, dual zone climate control, automatic wipers and headlights, keyless entry and a powered tailgate. The Sport adds a unique grille and front and rear skid plates, a body-coloured rear spoiler, steel door sills, 12-way adjustable electric sports seats, power adjustable steering wheel, colour-matched lower body, 21-inch rims, red sliding brake calipers, gearshift paddles, steel pedals and a Harman Kardon sound system. The Luxury, meanwhile, has a chromed front grille, steel door and trunk sill panels, premium leather trim, body-coloured lower panels, 20-inch rims, a Harman Kardon stereo, wood trim, 12-way electric seats and a panoramic sunroof. And the options list is as long as both your arms. The Levante is based on the company's Ghibli four-door sedan, and at some angles the relationship between the two is obvious. There's a cab-back, high-waisted silhouette to the Levante, along with large-ish wheel arches surrounded by faux off-road plastic trim. The trademark fender vents are still present and correct, along with the pronounced grille with its vertical slats. On the inside, the Levante tries to invoke the Maserati ethos of classic luxury. The rear, though, is less distinct, despite reasonably distinctive LED taillights and quad exhausts. At some angles, the rear three-quarter view can appear too full, thanks in part to the overly pumped wheel arches. 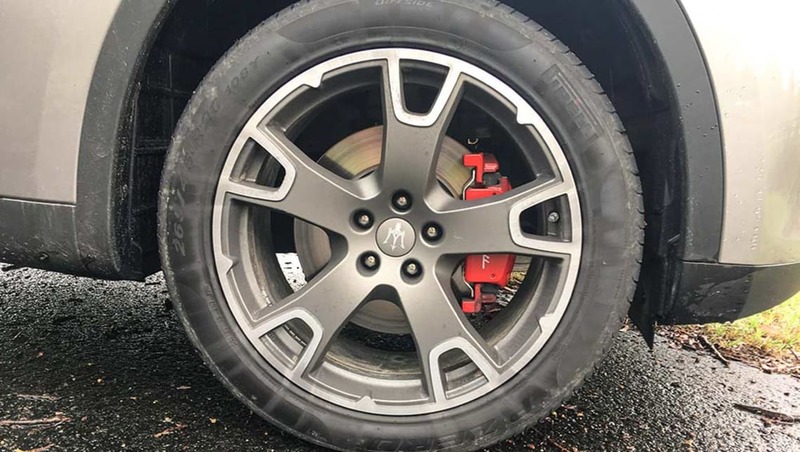 The Levante can be optioned with 19, 20 or 21-inch wheel rims, which also changes the car's appearance quite dramatically, especially when combined with the car's ability to raise and lower itself on its airbag suspension. 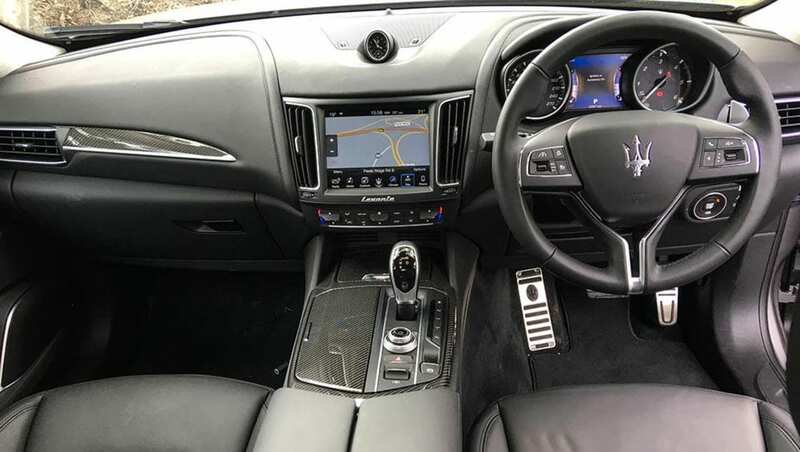 On the inside, the Levante tries to invoke the Maserati ethos of classic luxury, with swathes of leather, conservative seats and lots of black on black broken up with satin silver trim. While it's fair to expect something like Maerati's Quattroporte to be limited when it comes to practicality, one could reasonably expect that an SUV from the same brand shouldn't suffer the same fate. The Levante is more than five metres long and almost two metres wide, yet its internal space feels decidedly less than the sum of those numbers. The front seats sit some way inboard of the doors, while the rears feel closed-in thanks to the car's high waist and small glasshouse. A high centre console lends the impression of sitting low in the Levante, but the bluff nose makes forward vision when parking a bit of a lottery. The seats themselves are comfortable enough over a long run, but miss out on a bit of side support. 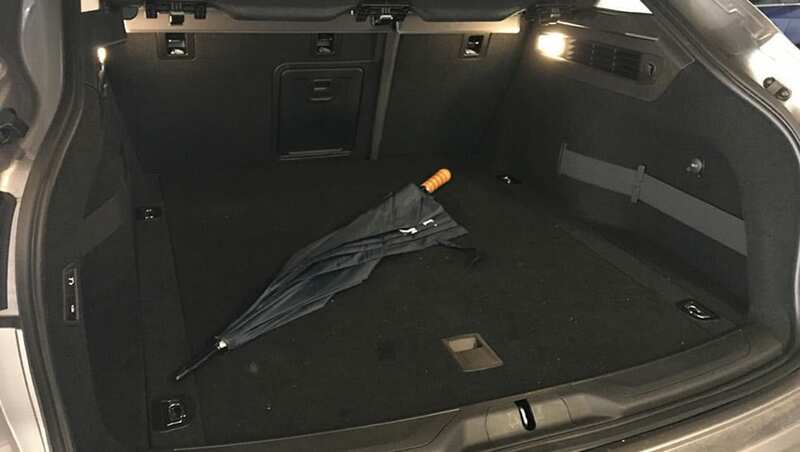 The rear seats are only just wide enough for tall passengers, with the full-length sunroof stealing valuable headroom away. The door apertures, too, are quite small for such a large car. As a member of the Fiat Chrysler empire, Maserati has raided the parts bins of the company's other brands to not only shortcut development time but to keep costs – and the final price – to a reasonable level. As such, the 8.4-inch multimedia touchscreen is familiar to anyone who had driven a Jeep or a Chrysler, while some of the switchgear is also sourced from Jeep. As a cruiser, the Levante is excellent company. These parts work well, and for the most part Levante owners won't notice the appropriation of FCA bits. 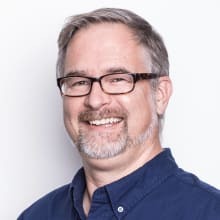 Not reinventing the wheel also helps to keep costs down. 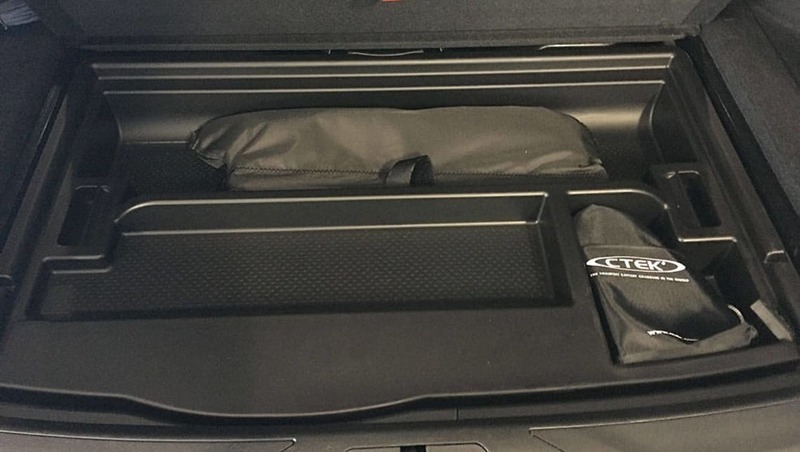 The boot space at 580 litres is on par with cars like the BMW X6, but falls well short of the space available in a Cayenne, for example. Despite the boot's high floor, there's no spare wheel or space saver underneath. Two cupholders reside in the centre console, while a chilled centre bin also has two cupholders in it. 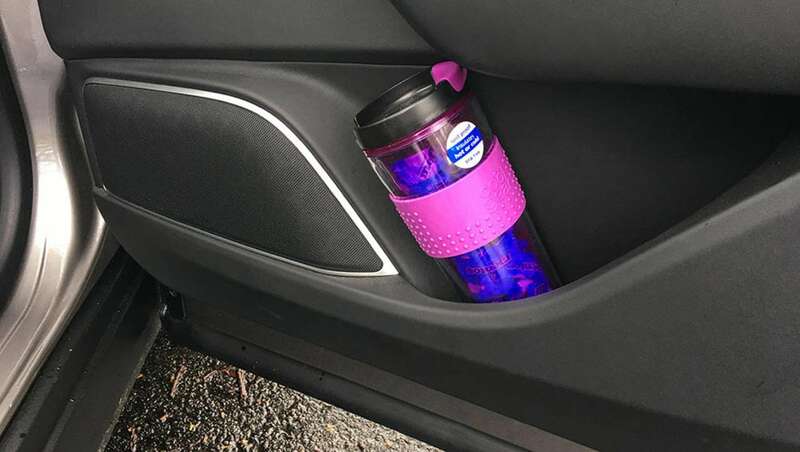 Small bottle holders can be found in all four doors, along with two more cupholders for rear seat riders. 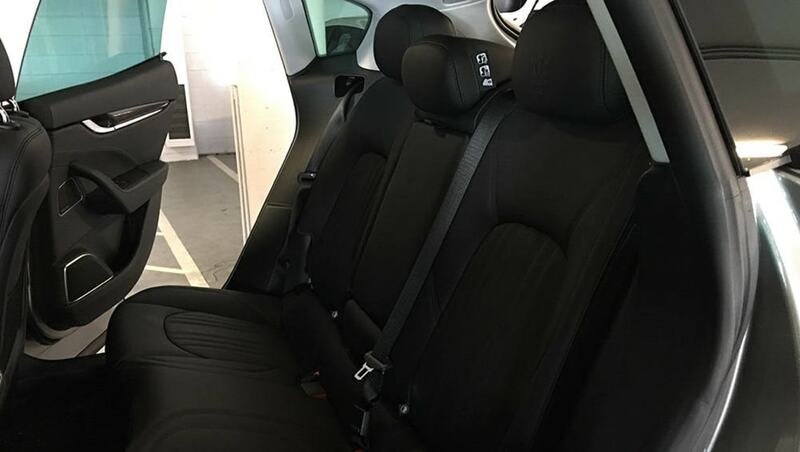 In the back, two ISOFIX baby seat mounts are present, along with air vents and a 12V socket. There are some ergonomic annoyances, including a primary control stalk for wipers and indicators that's mounted a long way inboard for easy use, while the oddly designed trigger style gearshifter is awful to use, with inconsistent, plasticky operation and selector points that are too close together and not defined enough. The 3.0-litre VM Motori diesel can be found across the FCA empire, including under the bonnet of the Ghibli sedan and the Jeep Grand Cherokee. The direct-injection unit makes 202kW at 4000rpm, and 600Nm between 2000-2400rpm. It'll do the 0-100km/h dash in 6.9 seconds and top out at 230km/h. It's been given the Maserati treatment via a bespoke exhaust system, which has two actuators in the rear mufflers that open in Sport mode. Maserati rates the Levante at 7.2 litres per 100km on the combined cycle, and its carbon emissions are 189g per kilometre. After 220km in the Levante Luxury that included some track laps, we saw a dash-indicated figure of 11.2L/100km. As a cruiser, the Levante is excellent company. An air spring-based suspension system gives the car a cossetting, well damped ride that's quiet and controlled, event with the larger rim spec of the Luxury model. The diesel engine, too, is subdued and refined, and is well matched to the eight-speed auto. Some light off road work showed off the air suspension's ability to lift to an impressive 247mm. ‘Proper' hydraulic steering is also a key contributor to the Levante's ease of use on longer runs. A brief foray on track also revealed a good level of balance, with the 90 per cent rear-biased AWD system shuffling grip forward – up to 50 per cent – instantly as required, but still maintaining a rear-biased feel that could be easily adjusted with the throttle. Some light off road work showed off the air suspension's ability to lift to an impressive 247mm – a lift of 40mm over standard – along with a hill descent control mode. The limiting factor with off road jaunts will be, however, the grade of tyre fitted to the car; the stock Pirellis wouldn't get you too far into the bush. As for the diesel soundtrack? It's acceptable and even pretty good for a diesel. Maseratis, however, are renowned for some of the world's greatest engine notes, and this one just doesn't ring true, unfortunately. The Levante has a number of active and passive safety systems as standard, including lane departure, frontal collision and blind spot warning and radar cruise control. Maserati says the Levante also has torque vectoring in Sports mode and trailer sway control (it can tow 2700kg of brakes trailer, too). While the forward alert system will jolt the brake pedal and help the driver apply maximum force when the brakes are applied, it isn't fitted with auto emergency braking. There are six airbags, as well. No ANCAP safety rating has been applied to the car as yet. Maserati offers a three-year, 100,000km warranty, with the option to extend to five years at a cost. 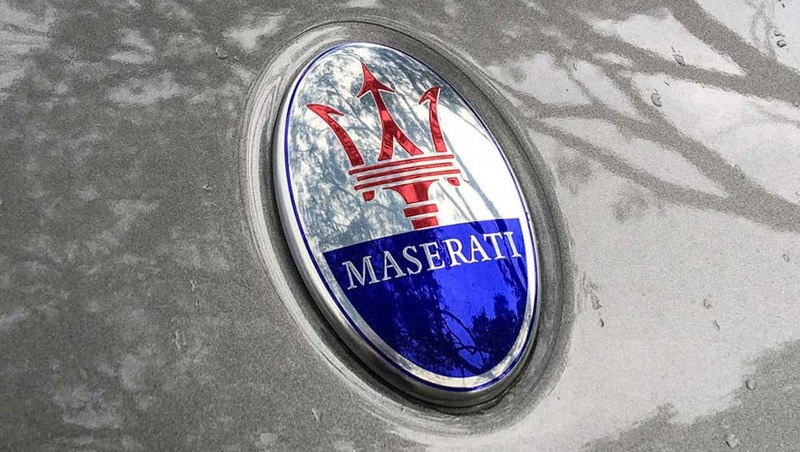 A pre-paid service program that includes consumables like filters, brake components and windscreen wiper blades is offered on other Maserati models, but details are yet to be confirmed for the Levante. One of the launch event guides, who has worked with the Italian brand for almost two decades, casually remarked how unusual it is to see the trident logo on a large SUV – and we agree. It's a hard balance to strike for a premium sports and grand touring maker to produce a vehicle that doesn't sully that reputation. 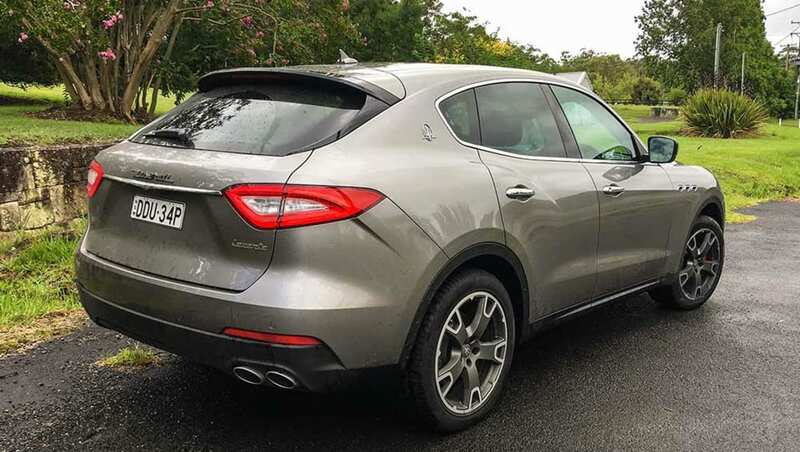 Maserati will sell all 400 cars that are destined for Australia, thanks to a relatively low entry price and the power of the brand – and those 400 people will enjoy a nice looking, economical, comfortable SUV that's a pleasure to use. Does it invoke emotion and stir the spirit, as a good Italian brand really should? No, not really. There's not enough flair or theatre in the Levante to truly echo a more traditional Maserati. 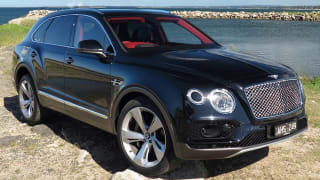 Would you prefer a Levante to a Cayenne or an SQ7? Tell us what you think in the comments below. 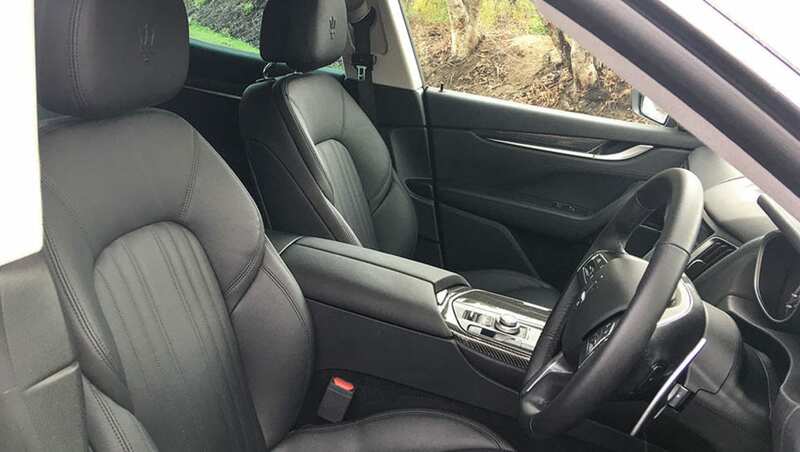 Peter Anderson road tests and reviews the 2016 Audi SQ7 at its Australian launch. Peter Anderson road tests and reviews the Porsche Caynne Diesel S with specs, fuel consumption and verdict.